Heeft u een vraag voor Hong Vina Hotel? Gesitueerd in de gezellige wijk District 1, geniet Hong Vina Hotel een goede reputatie onder reizigers met een interesse in derestaurants, nachtleven, winkelen centrum van Ho Chi Minh Stad. Met haar locatie op 0.5 Km afstand van het stadscentrum en 9 km van het vliegveld, trekt deze 2-sterren accommodatie jaarlijks vele reizigers aan. Deze accommodatie ligt in de nabijheid van populaire stadsattracties zoals Museum voor Beeldende Kunst, Blue Space Art Gallery, The Sun Art Gallery. De faciliteiten en diensten die door Hong Vina Hotel worden geboden, garanderen een plezierig verblijf voor gasten. De accommodatie heeft een uitgebreid aanbod aan services, inclusief 24-uur roomservice, gratis wi-fi in alle kamers, 24-uur beveiliging, taxi service, 24-uur receptie. 24 kamers, verspreid over 9 verdiepingen, bieden een warme en plezierige atmosfeer. Enkele kamers zijn voorzien van voorzieningen zoals plasma tv, spiegel, slippers, handdoeken, draadloos internet (gratis). De accommodatie biedt talrijke recreatieve mogelijkheden, zodat u voldoende te doen heeft tijdens uw verblijf . 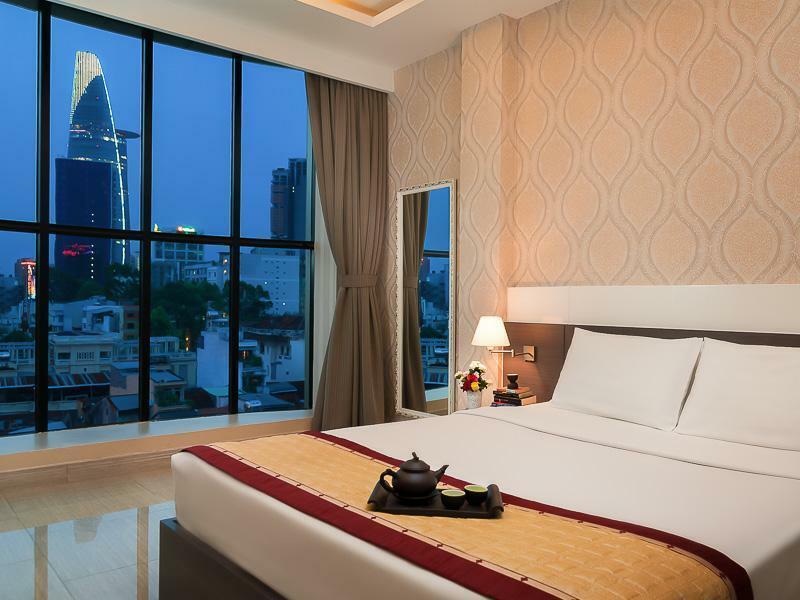 Hong Vina Hotel is een slimme keuze voor mensen die naar Ho Chi Minh Stad reizen, een ontspannen verblijf is gegarandeerd. Very friendly staff specially Manh. His help during our stay was comforting. This is a nice hotel, well maintained building. 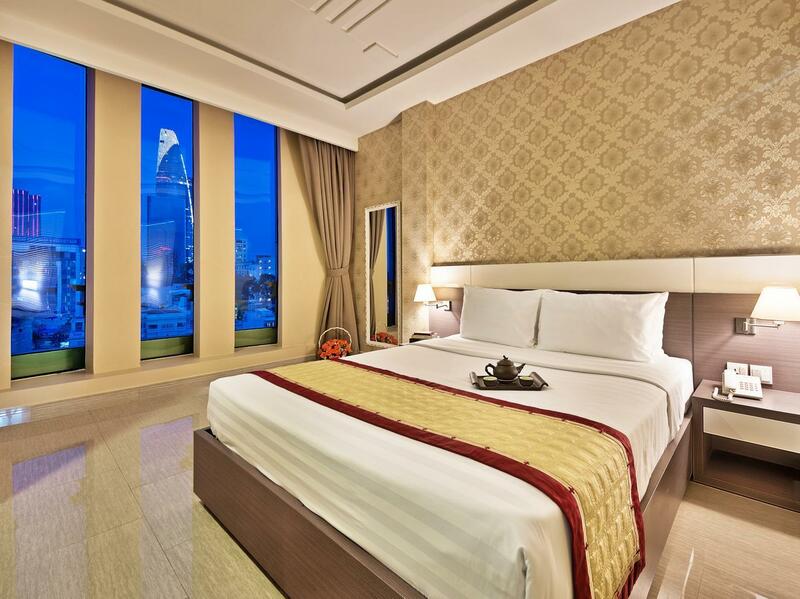 Rooms and facilities are modern and clean. Bed is confortable. Staff is really welcoming and friendly. Fast check-in and check-out, no trouble. Perfect location in the city center, off the crown but very nearby all the entertainment of D1. Overall it was great considering the price. The staff are more than helpful at helping with booking tours, finding great places to eat, and getting taxis. They always had a smile on their face. The room was very clean although i recommend you remind the front desk to tell the cleaning crew to do your room so they dont forget. They skipped my room one time. Great place, friendly staff and good location (: We really enjoyed our stay in this hotel and the price was very good for what we got! We recommend you to try this little nice hotel and see for your self! 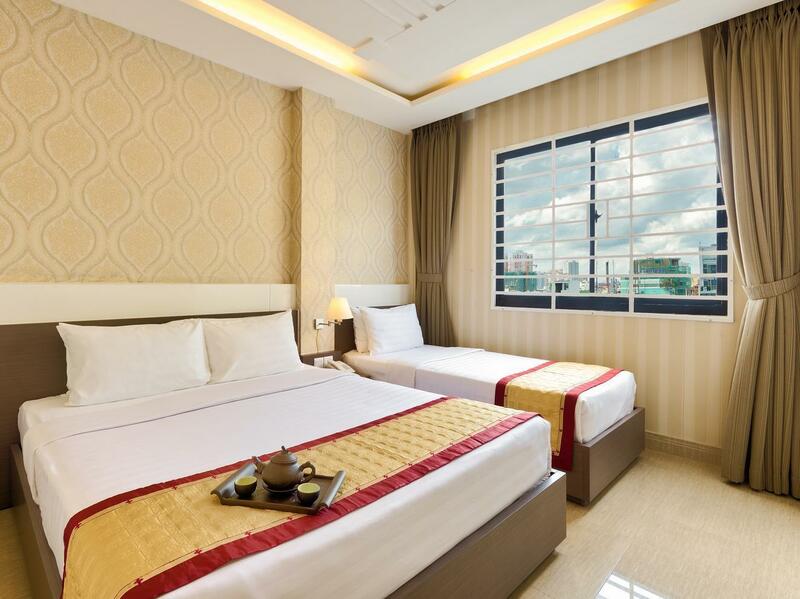 The hotel is located at a strategic location which Ben Thanh Market is just few minutes a way of walking distance. The breakfast included is good and with few choices. Staffs was helpful and friendly to help whereas one of my friend lost her mobile phone. The staff at the counter help us to cancel the mobile number and also check with our tour group although in the end the phone is not found. Yet, we still appreciate the help from them. Room is clean and come with free shampoo and shower gel. Upgraded to Deluxe room with window after 1st night. Quiet & spacious. 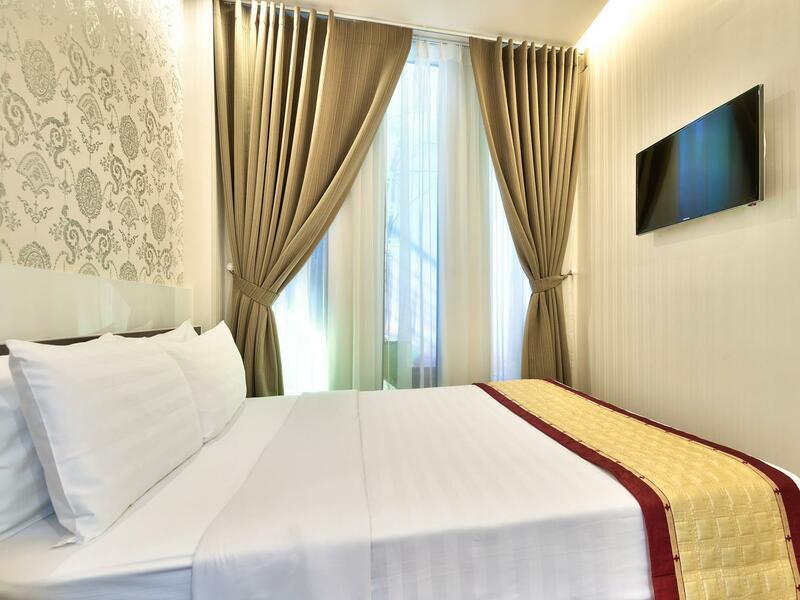 Near backpacker area Pham Ngu Lao street (10mins walk) where all the best deals for day tours, restaurants, cafes, pubs & massages are located. Great local food at night market at nearby Ben Thanh market, opens at 7pm. Hotel staffs are superb - very friendly and helpful. They offer cheaper airport transfer compared to tour agents. Best money exchange rates at Saigon Square, 10 mins walk, cheap and good shopping experience. Booked deluxe room (no window). All deluxe(no window) rooms are just next to the lift. Poor sound proofing. Unless you are a heavy sleeper, you will be disturbed by the mechanical operations sounds of the lift at night. Paid extra to upgrade to deluxe with window after 1st night. The hotel staff was really friendly and had even upgraded my room foc, as there was no more standard room. Their staff really assist whenever they can. The room is clean, new. Beds are comfortable. Aircon is strong. Toilet is modern and well designed. In short, everything works, and beyond expectation given for the price paid. Loved the hotel, nice room, nice view, very clean. GREAT shower with hot water and good water pressure. Staff was friendly and helpful. Double bed was two beds pushed together with 1 fitted sheet and wasn't super comfortable for a couple. Breakfast was just ok.
My stay with Hong Vina hotel was good overall. However, beware solo travellers if you are arriving late at night and have arranged a hotel transfer. I had done so thinking it would save me the hassle of negotiating a taxi late at night on arrival. Long story short, they took me to their budget hotel and checked me in, even though I had booked and paid for a room in their mid-range hotel (the room here was much nicer). They ended up transferring me without too much fuss but it was an extra thing I had to negotiate. Just be aware that they are a hotel group and make sure that they take you to the correct one that you actually booked and paid for. My overall stay was good! I stayed here for 3 nights. The staff were kind and generous. However, there were very minimal breakfast selection (cereals, coffee and fruits). Wifi is good. Great location! almost close to everything. only 3 - 5 minute ride via uber - moto. Only that my room is beside the stairs and the walls are thin enough to here the noise of the other guests outside. You can walk from Ben Thanh Market bus terminal to hotel by taking airport bus 152 (cost VND 5,000 per person, exclude luggage). 3 minutes walk from bus terminal to hotel. Great location with walking distance to famous attractions like Fine Arts Museum, Ben Thanh Market, Saigon Square, Reunification Palace (Hoi Truong Thong Nhat), Notre Dame Cathedral, Central Post Office, City Hall, Saigon Opera House (Ho Chi Minh Municipal Theater), Tran Nguyen Monuments, War Remnants Museum (Nha Trung Bay Toi Ac Chien Tranh), Bitexco Financial Tower Skydeck, Ho Chi Minh Square, Ho Chi Minh Square, and Pham Ngu Lao Street. Famous restaurants like Pho 2000, Pho 24, Number One, Kem Bach Dang Ice Cream & Fanny Ice Cream are the nearby great places to eat. Nice view from upstairs. Basic breakfast, with some standard options to choose from, like eggs, soup woth beef, etc. The room is clean, but our shower door was loose, and almost fell to the ground and shattered to pieces. There is a type of room that is cheaper and does not state it does not have a window. Don't get that one, of you are not comfortable livibg without windows. Booked 1 night because it was close to the ferry terminal. It's situated in an up and coming area near Ben Tanh Market with many funky new shops and restaurants being built. Staff were incredibly friendly and helpful. Breakfast was good. Thank you for a lovely stay. I would recommend this hotel. Staff are accomodating. Just keep ur money inside ur luggage when u go out, because when we came back to our room my 2 friends lost their $100. Just keep ur belongings in a safe place.